1858’s Managing Director, Viola Raikhel-Bolot will be one of the renowned industry speakers at Deloitte’s 10th Art & Finance Conference in Milan on Wednesday 8 November 2017. 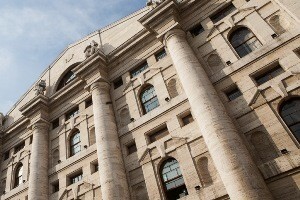 Deloitte is pleased to announce that the 10th Annual Art & Finance Conference – Managing Private Art Collections & Corporate Collections of Family Businesses, co-organised by Deloitte Luxembourg and Deloitte Italy with the support of Borsa Italiana, will be held at Palazzo Mezzanotte, seat of the Italian Stock Exchange, on Wednesday, 8 November 2017 from 9:00 to 18:00 followed by a cocktail. We are pleased to share with you our renowned industry speakers and agenda. Trust and transparency in the Art Market, is the Art Market a global market? In addition, the closing keynote address will be delivered by Dario Franceschini, Italian Minister of Cultural Heritage on “The place of Art in Italian economy” and by France former Minister of Culture Aurélie Filippetti on “Private and public sectors: opportunities and challenges to manage collections (the French experience)”.